Expected to ship on or about 04/27/19. 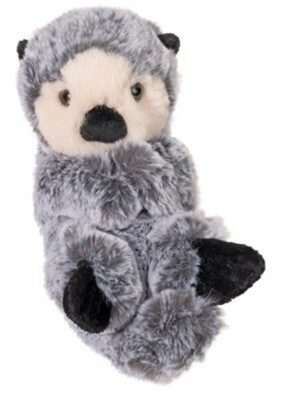 The Baby Otter Lil Handful plush from Douglas Toys is a super cute companion for kids. Designed for ages 3 years and older, this adorable plush baby otter is super soft and snuggly and fits just in the palm of your hand! Measures approximately 6 inches long. I'm the author/artist and I want to review Baby Otter Lil' Handful.